A list of my publications and pdf-files of some of my talks can be found here. Here you find the textbook "Lectures on the Poisson Process"
IMS Textbook by Cambridge University Press. 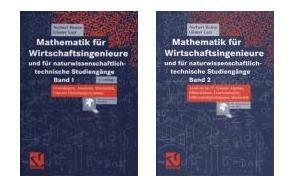 Günter Last received the diploma degree in mathematics from Humboldt-University in Berlin in 1984 and the PhD. also from the same university in 1987. He worked there as a scientific assistent till 1992. Then he moved to Technical University in Braunschweig, where he received Dr. Sc. degree in 1995. In 1995/96 he spent one semester as a visiting professor at the University of Kaiserslautern and 1996/97 he spent one year as visiting professor at the University of Bonn. Since 2000 he is professor (C4, since 2009 W3) at the University of Karlsruhe.